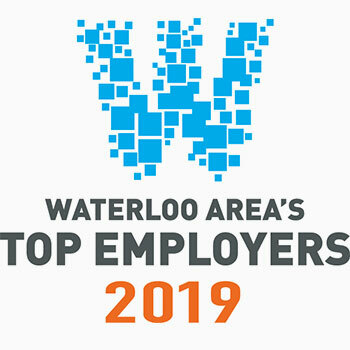 Waterloo – Wilfrid Laurier University has been named by Canada’s Top 100 Employers as one of Waterloo Area’s Top Employers in recognition of its high-quality workplace policies and programs. Canada’s Top 100 Employers is an annual competition recognizing leading national and regional organizations that offer exceptional workplaces for their employees. Organizations selected for these awards redefine how people work and live by developing and adapting policies and procedures to meet the changing expectations of today’s workforce. While the recognition is awarded at a regional level, it is based on the university’s efforts across all of its multi-campus locations. Advances commitment to diversity, equity and inclusion through numerous programs, including hiring its first-ever Indigenous curriculum specialist and the recent opening of Laurier’s Centre for Indigegogy. Offers best-in-class benefits plan and pension plan. Expands and further develops employee training and professional development programs, which includes a tuition reimbursement program. Fosters a culture of community giving through charitable events and programming in support of institutional initiatives, student needs and community requirements. As an educational institution, Laurier inspires lives of leadership and purpose in its student community. As an employer, Laurier seeks, fosters and values the same qualities of leadership and purpose in its employee community. Learn more about what makes Laurier a great place to work.